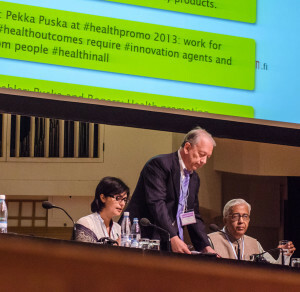 June 24, 2013: The World Health Organization in collaboration with the Ministry of Social Affairs and Health of Finland hosted the Eighth Global Conference on Health promotion: Health in All Policies on June 12, 2013. This high level meeting of experts and policy makers was held to support Member States in developing and strengthening policies across sectors while taking into account the health implications of decisions and actions. Our president, Dr. Sania Nishtar chaired a plenary panel. Webcast can be viewed here and the Conference Statement can be viewed here. Accountability and transparency are deeply misunderstood in our country. For decades, the two have been regarded as being synonymous with politically motivated anti-corruption efforts. Nothing could be further away from the truth. Transparency opens a window into the world of government operations. Accountability, on the other hand, provides a measure of how government is performing and shows the nature and underlying motivations for decisions. Developing transparency and accountability systems builds confidence in government and presents avenues for engagement with businesses, citizens and the civil society for achieving inclusive and sustainable growth. Transparency of decision-making is also a way of regulating conflict of interest, one of the key ethical questions in governance. I am a staunch believer in the role of transparency and accountability as central threads in governance and democracy. Hence, when I was sworn in as federal minister in the interim cabinet, I decided to voluntarily submit myself for accountability at the end of my term. But how do you do that in a system where there are virtually no mechanisms in place to facilitate it? The handover papers are aimed at enhancing the efficiency and efficacy of the process of handing over government and offer a link to my successors. They are a window into the operations of the ministries. They demystify the decision-making process to the public, provide the underlying rationale for the decisions I took while in office, and are meant to be a measure of my performance. Through these I am holding myself accountable to the people, who have a right to know why and how decisions are made in public offices. 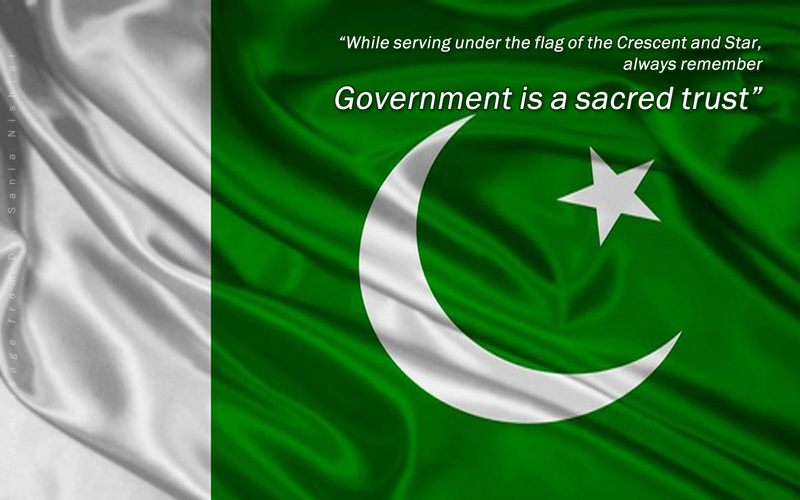 My initiative is predicated on the belief that a culture of transparent and evidence-based decision-making is necessary to reform governance in Pakistan; and that in order to make democracies deliver, the culture of integrity, transparency and openness will have to be ingrained in government institutions and processes. Failure to institutionalise accountability or answerability is central to most of the problems Pakistan faces today – extremism, militancy, terrorism, sectarian ethnic strife, organised criminal activity, the informal economy, mammoth debt, societal polarisation, the energy crisis, widening inequalities, and poorly performing public services exist today because individuals and institutions have been deliberately inattentive to oversight and/or opted for policy directions to the detriment of desired outcomes. If we continue to regard responsibility, answerability, and account-giving, the low level of importance they have been receiving, governance will further weaken and our challenges will increase. Unfortunately, the last parliament failed to legislate on accountability. The country has effectively been without a comprehensive accountability framework for decades. The current iteration of Bill, which has been pending with a parliamentary committee for years, has an unacceptable list of exclusions -something the new government should explore. I hope that my handover papers’ initiative will serve as a catalyst in two areas. In addition to initiating an accountability movement, my hope is that this process will be integrated into the normal course of the handover process for future governments. Normally in any organisation, even if a secretary changes, there is a handing over process – institutional memory, work underway, and the required next steps are communicated to the successor. Ironically, the setting in which handing over matters the most – the government system – is totally bereft of any such practice. In articulating the handover papers, I am also attempting to set precedence for government transitions, so that each outgoing government communicates strategic policy and tactical positions, to their successors, when they leave office in the interest of ensuring policy consistency. Each of the four ministry-specific papers summarise, for my successor minister, the work that was undertaken during my term and specify outstanding matters that need to be addressed. I have also outlined my views on reform and the needed realignment within ministries. The handover paper of the Ministry of Information Technology and Telecom (MoIT) focuses on its key mandates, policymaking and e-governance, the MoIT’s attached institutions and its relationship with the sector regulator. Matters pertaining to the closure of YouTube and PTCL pensioners, are addressed as is the interface of Information Communication Technology (ICT) with the process of elections. On assuming office, I noticed that the MoIT faced many governance challenges, which also manifested as distortions in its attached institutions. This led me to focus on getting things back on track, an account of which and the required next steps, I have outlined. The Ministry of Education’s handover paper focuses on sharpening the federal edge in education. An appended mandate paper outlines post-18th Amendment federal, provincial and district roles, where confusion loomed. I also developed a policy reform plan and outlined how a few selected policy initiatives can be catalysts for sustainable changes in each of the five areas, which are constitutional federal responsibilities in the education sector. In the Ministry of Science and Technology’s handover paper, I reflected on the nature of systemic distortions, which have led to low demand for science and technology (S&T) in Pakistan and outlined five policy levers of change for reform within the S&T sector. If these are implemented in tandem, they could simultaneously link research and development R&D and the academia with the process of national development and play a transformative role in promoting a culture of entrepreneurship. In addition to the three ministerial portfolios, I also served as the government’s focal person for health during my term. The need for this role arose since there was no position of federal minister for health – Pakistan’s Ministry of Health had been abolished in 2010. Serious problems had arisen as a result of institutional health fragmentation with federal responsibilities and institutions spread across nine divisions. I had the defined mandate of consolidating them in a division, albeit in line with the 18th Amendment. A mandate paper was also developed to outline federal-provincial responsibilities in health, and the urgent next steps that need to be taken at the federal level, particularly in the regulatory and health information domains. Lack of attention to these has serious domestic and international repercussions. Each of the handover papers outlines actions through which I attempted to sow the seeds of reform with suggestions for my successors. I hope they are seen as a positive signal for the public, and the international community watching, as Pakistan transitions to a new government. It was an honour to serve the people of Pakistan and I continue to stand ready in my civil society role to do all I can to ensure that we collectively achieve our potential in the globalised world. Building and sustaining transparency and accountability systems will be imperative to how we progress as a nation and a democracy. June 21, 2013: We practice what we preach. 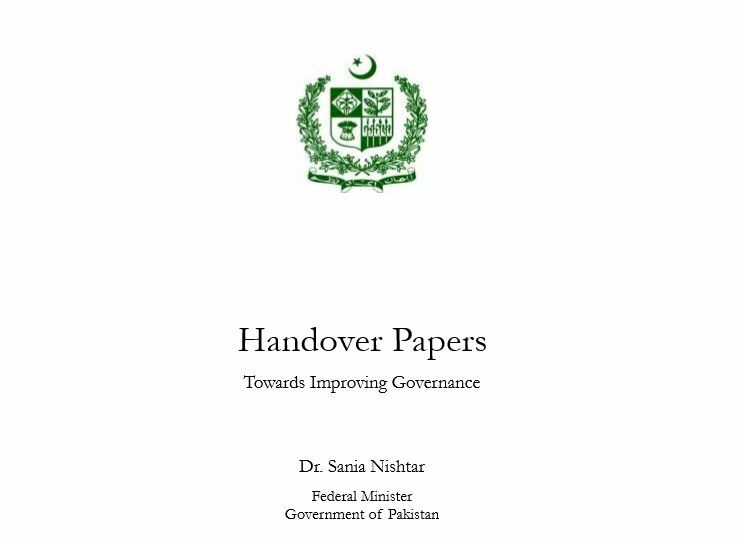 Our president, Sania Nishtar voluntarily submits her decisions and actions during her tenure as Federal Minister for accountability and transparency. Her latest Op-Ed on the subject can be accessed here. June 19, 2013: After a successful stint as Federal Minister in Pakistan’s Caretaker government, Sania Nishtar has resumed responsibilities as President Heartfile. While in office she had charge of four ministerial portfolios, Education, Science and Technology, Information Technology and Health. 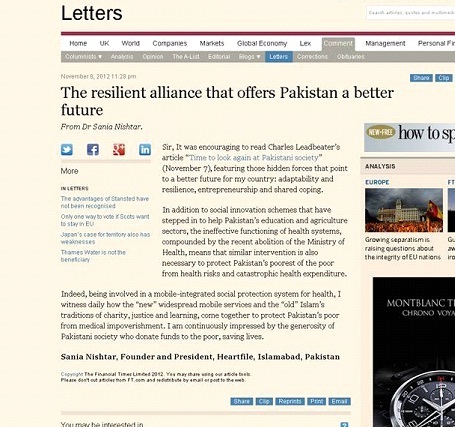 One of her main achievements was to re-establish Pakistan’s Health Ministry. Her Handover Papers to the next government, in her own words “provide the underlying rationale for the decisions I took while in office, and are meant to be a measure of how I performed. Through the Handover Papers I am holding myself accountable to the people”. We are delighted to have her back in office. She has also shared a key reflection in a wallpaper message to all government functionaries when she left office.